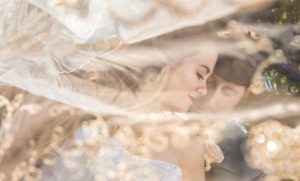 Everyone wants striking photos of their wedding that will make their friends and family gasp in awe—photos with perfect composition, stunning scenery, or where you and your spouse look like royalties. But what does it take to get those striking images as gorgeous as Princess Eugenie's royal wedding photos? For starters, you need to find the perfect wedding photographer for you. You want to choose a photographer with experience and skill, as well as albums full of gorgeous photos that you love. But just as important is how comfortable you feel around them. If you feel relaxed while talking to them, chances are you’ll feel relaxed when they’re taking your wedding pictures. As a result, your images will look more natural, making for beautiful photos. A great way to become more comfortable with your wedding photographer is to have an engagement session. Think of it as a trial run for your wedding day. You have the chance to spend time with your chosen photographer and get more comfortable in front of the camera—and you’ll receive a gallery of gorgeous images too. 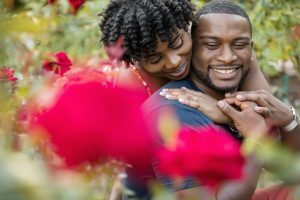 Many photographers offer engagement sessions as part of their wedding packages, so, if that’s the case, you should definitely take advantage of the opportunity. As you’re touring potential venues, observe the photographic possibilities of each location. You can even search online for weddings at that venue, so you can take a look at how previous photos there have looked. Once you've chosen the right venue, talk to your photographer about what you love about the venue, whether it’s the architecture of the building or a hidden shady path, so they can plan your photos accordingly. You’ve hired a professional photographer to capture every moment of your wedding day. Trust them to tell your love story. They may have unique location or pose ideas that may seem crazy to you but will make for amazing images. And you don’t have to be in a field of wildflowers or on the beach to get stunning shots. The best photographers know how to make the most of even an alleyway or a venue parking lot. Let their creativity flow. To create incredible images, you need a photographer who’s an expert in lighting, someone who knows how to work in any lighting conditions. On New Year’s Eve 2017 at St. Augustine FL, I photographed a couple in the dark with only a string of lights hanging above them. Despite the very dim lighting, I was able to shoot images without any problem because I’m not only fully equipped but also fully educated in taking photos in any type of lighting. It’s essential to talk to your photographer about your vision for your wedding day and your photos. Tell them what moments you’re looking forward to and what details you want captured. Your photographer is there to help you achieve your wedding vision, so let them know what you want. Every bride deserves wedding pictures that make her feel beautiful. By choosing the right photographer and being open and honest about your needs, you can ensure that you’ll have gorgeous photos to cherish for years to come.